Add an eye-catching accent to your living room with the Padre Coffee Table by Zuo Modern. 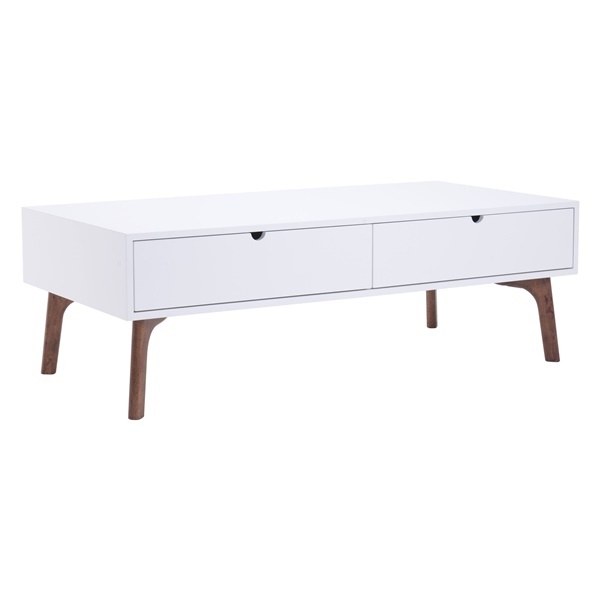 Featuring two drawers for storing items like remote controls, books and magazines, this contemporary coffee table is made from rubberwood and MDF with a walnut and white design. This sturdy table is ideal for daily use with plenty of room for serving snacks on movie night. The Padre Coffee Table by Zuo Modern matches other furniture from the Padre collection, making it simple to create a coordinated decor.